This leisure area on the banks of the river Gartempe is just waiting for you. 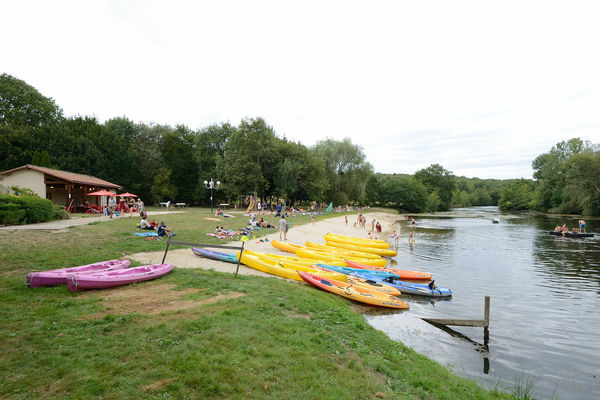 The leisure area of La Bussière, which covers about two hectares of invigorating countryside, offers you the opportunity to rent a canoe for a leisurely trip on the water with family or friends. You will also find a swimming area (with both large and small swimming pools) with a sandy shore. If you just want to relax by the water, you can do that here too, on the sunbeds that are at your disposal. You can have lunch on site in the picnic area and there is a bar/fast food restaurant; come and enjoy a pleasant day at La Bussière! Tips for the Sud-Vienne-Poitou: choose this activity in July/August because the swimming area is only supervised during this period. That little extra something : so as to satisfy the whole family, the area offers a range of different games: ping-pong tables, a volleyball court, swings, slides and other fun games. There is no review about Location De Canoë, be the first to leave one !